These little beauties are getting their bake-on. 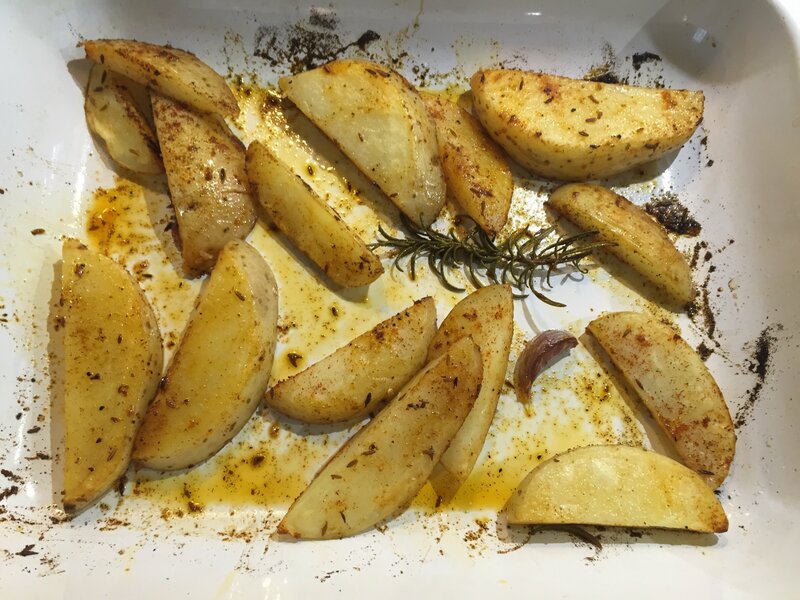 Slice the potatoes in half, then each half into thirds to make a good wedge shape, quite deep but not too thick. Fill a saucepan with salted water and bring to the boil. Par boil the wedges for 5 minutes or until they are starting to soften but not flaking away. Drain the potatoes and tumble into a baking tray. Add the other ingredients and toss thoroughly to coat the wedges. Cover the baking tray in tin foil and put in a pre-heated oven on 180 degrees Celsius for 45 minutes. Half way through cooking turn the wedges over and place back in the oven. 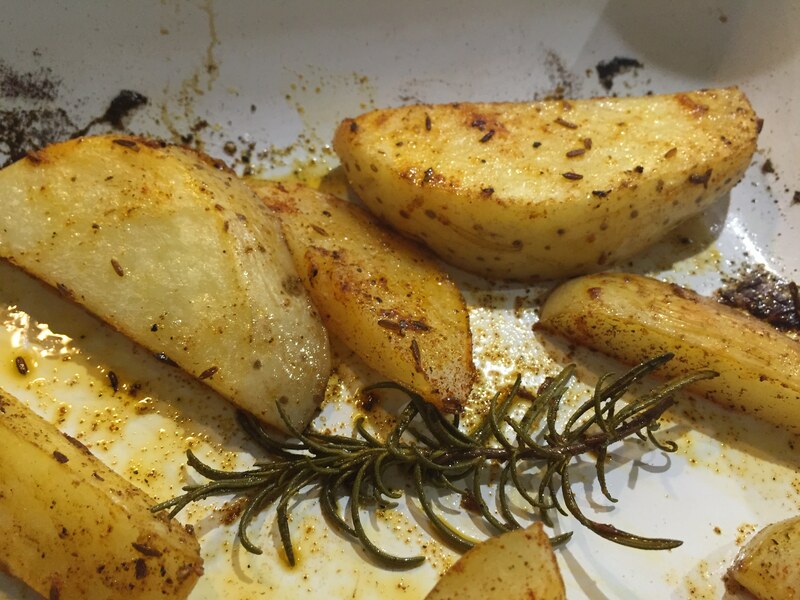 Five minutes before the end of cooking, remove the foil to allow the wedges to start to crisp up. 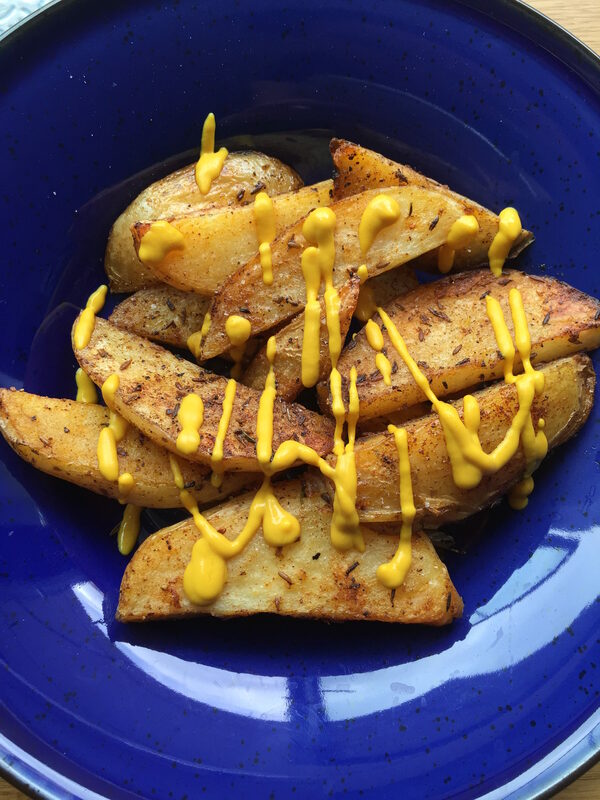 Serve with your favourite condiment, French’s American Mustard for me!